Our flower gourmet brownie is beautiful to look at but even better to taste! 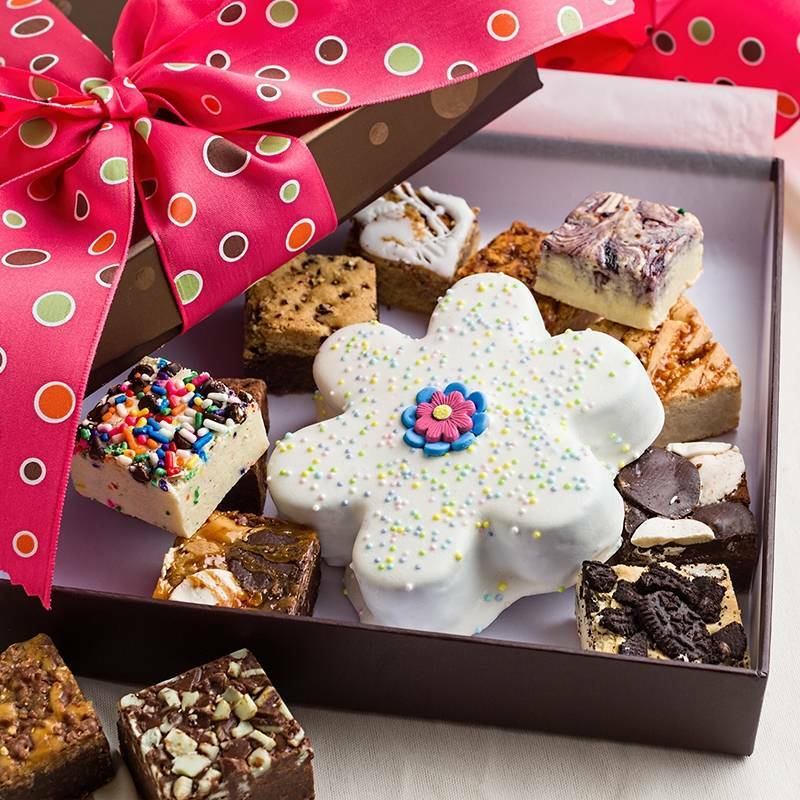 A chocolate covered brownie flower is surrounded by 8 individually wrapped baby brownie varieties and 4 ganache covered brownies with Spring sprinkles. Hand-tied with our Pink Eye Candy ribbon making this gift a beauty! 13 Piece Count.